The EduExo kit started as a side project, and has been in development since 2016. After a successful Kickstarter campaign in June 2017, we finished the development and officially released the EduExo in October 2017. For distribution, we incorporated our company Beyond Robotics GmbH and the EduExo is now availabe in our online shop to interested students, hobbyists, schools and universities. This website (www.eduexo.com) started as a platform to inform about the EduExo project and the EduExo robotics kit. It has been extended beyond the original purpose to provide information and articles about robotic exoskeletons. It is now an integral part of the EduExo kit and provides additional content and information complementary to the EduExo handbook. Volker holds a PhD in exoskeleton robotics from ETH in Zürich, Switzerland. His research focuses on the development of lower extremity robotic exoskeletons. Over the last couple of years he was involved in several exoskeleton projects including a gait rehabilitation exoskeleton, an exosuit project, an open source modular exoskeleton, a research exoskeleton and the VariLeg exoskeleton for users with paraplegia. Additionally he was involved for three years as an exoskeleton expert in the 2016 Cybathlon. 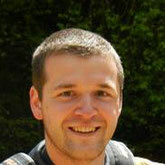 Volker is responsible for the technical development of the EduExo. Camila is an Electrical Engineer specialized in biomedical signal processing and gait biomechanics. 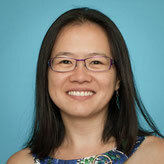 She has a Ph.D. in Biomedical Engineering from Northwestern University, USA. Her thesis, done at the Rehabilitation Institute of Chicago, focused on balance recovery of unilateral above-knee amputees to trips during walking. She is currently a Post-doctoral Associate at the Rehabilitation Engineering Lab of ETH Zurich, Switzerland. She is interested in locomotor control, balance, and rehabilitation, as well as scientific outreach to the general population. She supports EduExo with her wide knowledge regarding all research related topics. Christoph holds a PhD in robotics from the University of Freiburg, Germany. 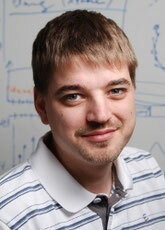 His research focused on the development of mobile robotic systems. He supported the EduExo projects on questions concerning robotics and virtual reality.